I like to think of myself as quite the domestic traveler. From Portland, Oregon to The French Quarter in Louisiana, and from Mackinac Island, Michigan to Quartzite, Arizona—I’ve been there. But somehow, Texas has evaded me . . . until now. 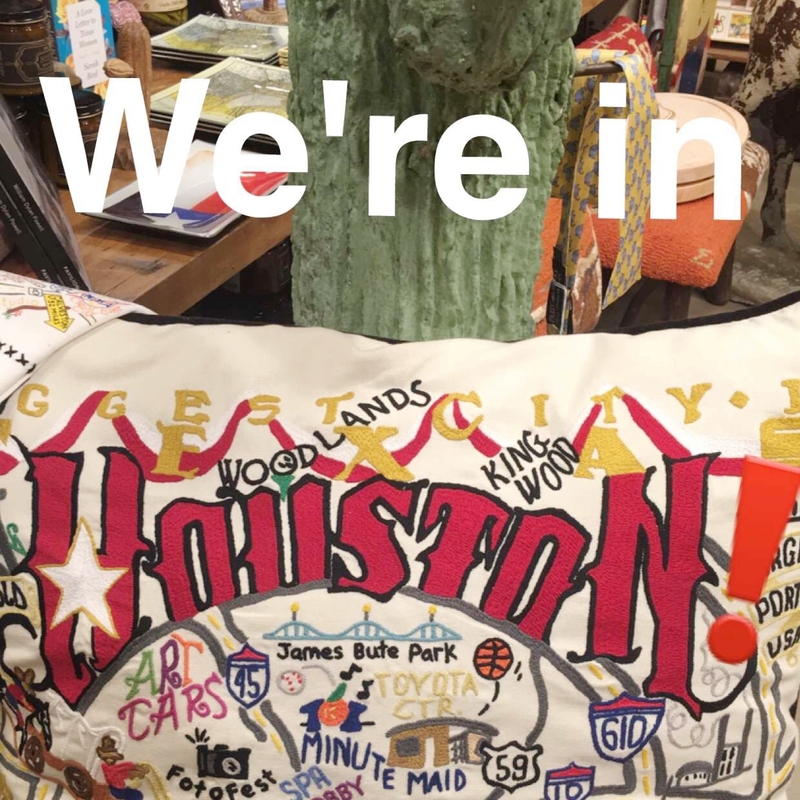 My mission (I chose to accept it): Pack your bags and head to Houston for 72 hours to spend quality time with our amazing retailers (I’m looking at you, Saks at The Galleria, Kuhl-Lindstrom, Blue Mercury Rice Village and Blue Mercury Woodway!) While you’re there, explore the city and make sure to post stories to @mariobadescu’s SnapChat and take pics for Instagram along the way. Are you following our adventures on Snapchat? Aye, Aye Captain(s)! Off I went to pack my bags. (oh, and speaking of bags, Kim hasn’t converted me to team carry-on just yet—though her minimalism does inspire.) My travel regimen hasn’t changed much since I visited Los Angeles in March, but I did pack a few special things in anticipation of Houston’s warm, humid weather. Apricot Super Rich Body Lotion– I’m a firm believer that skin care is just as important from the neck down as it is for your face. This is a travel favorite for two reasons: first, it is the perfect weight to keep skin soft even in warm weather and second the delicious apricot scent lingers with perfect subtlety, allowing me forego traditional fragrance altogether. Herbal Hydrating Serum– This weightless water-based hydrator is like a drink of water for the skin. The truth is, this is one of my year-round staples, but when travelling to warmer climates it becomes indispensable. Rose Hips Mask– One tends to become very aware of the affect that recycled airplane skin has on the skin when one must stand up in front of a room of people and talk skin care. This mask helps me save face (literally!) by gently refining and restoring my tired, slightly dehydrated post-travel skin. What’s that? How was Houston, you ask? So fun! I met lots of friendly people, went shopping at The Galleria, ate tacos at CityCentre, and strolled around The Museum District. Mission definitely accomplished!